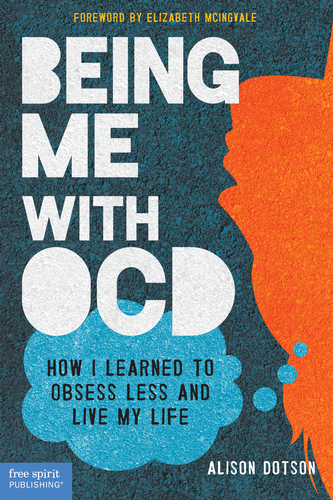 Last month my friend and OCD Twin Cities partner Jackie Lea Sommers posted an interview we both participated in. If you know anything about me, you know I share a lot of personal details from my life. It’s my way of giving back after overcoming my very worst obsessions; I want to help others feel less alone. But I waited to post this interview because I still feel shy, and maybe a little ashamed, of the fact that I’m agnostic. I grew up Christian. Most people probably think I’m still Christian–people who don’t spend much time with me anymore, anyway. I don’t want others with scrupulosity to think they’re “doomed” to lose their faith, too. It’s what happened for me, and I’m really, truly happy where I am on my journey, but I know many people who would be terrified by that proposition. Also, I don’t want pity. I don’t want anyone to pray for me, or fret over me, or talk about how I’m destined for hell now. I do want people to understand that ending up agnostic was not an easy process; I basically obsessed my way out of my faith. I can’t stop anyone from judging me, but I can hope they won’t do so. Read on, friends.